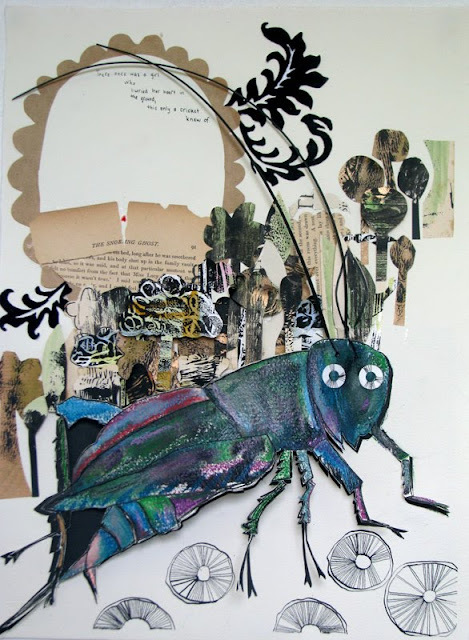 There are crickets and creatures hiding in amoungst your garden. Where the honey suckles grow and the beetle bugs jitter. Little do you know they live in hollow trees with their houses inside. Jam and trinkets they sell it all and where can you find this is Miss Lady Bugs store. Fire Flies float like paper lanters do and Jitter bugs dance as you imagine they do. Under mushrooms you can find creatures who have eyes like kaleidoscopes. though Im not sure of their name as they arent in science books. but if you look closely I know you will see. Beautiful piece, thanks for sharing.